Money Back Guarantee - AEBC believes in customer satisfaction. AEBC believes in customer satisfaction and stands by its products. Customers receive a 30 day money back guarantee on all online CipherTV Bar orders. The CipherTV Bar comes with a 1-year manufacturer’s warranty free, or extend your coverage for up to 3 years through AEBC. AEBC believes in customer satisfaction and stands by its products. 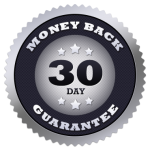 Customers receive a 30 day money back guarantee on all online CipherTV Bar orders. If you are unhappy with your CipherTV bar purchase, AEBC will refund your full original purchase price, less any shipping or handling fees. Contact AEBC directly at 1-888-851-8858 within 30 days from purchase to file your claim and receive a return authorization number. Units must be dropped off or shipped back to AEBC after receiving your return authorization number. Protect your product and receive peace of mind with AEBC’s Extended Warranty & Coverage plan for the CipherTV Bar. Upgrade your standard 1-year manufacturer’s warranty with enhanced 24/7 support and a fix or replace guarantee that can pay for itself after a single repair. To make a warranty claim, please keep your original sales receipt, accessories and packaging. For live support and warranty information please contact us directly at 1-888-851-8858.